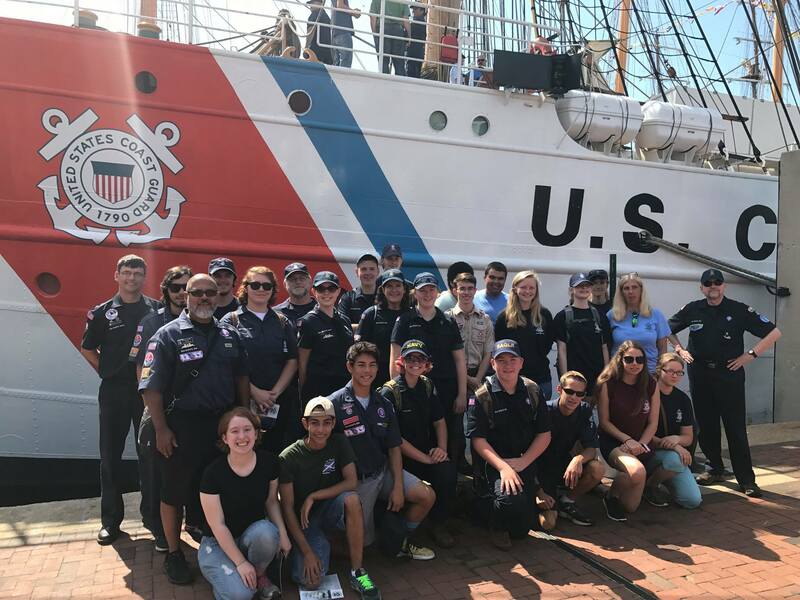 On Saturday, June 10th, Sea Scouts from across Southern Region Area 7 gathered in Norfolk, Virginia for Harborfest. Scouts from Ship 16 Suffolk, VA; Ship 71 Fayetteville, NC; Ship 244, Cary, NC; Ship 258 Colonial Beach, VA; Ship 530, Mechanicsville, VA; Ship 1117 Washington, NC; and Ship 1781, Yorktown, VA took a tour of United States Coast Guard Barque Eagle and the American Rover in the morning and split up in the afternoon to enjoy the rest of the festival. tour of some spaces off-limits to the general public. Following the tour of Eagle, the Scouts visited American Rover, a three masted top sail schooner homeported in Norfolk that provides daily 2 hour narrated harbor and sunset cruises on the Elizabeth River. Her design is inspired by the 19th Century Cargo Schooners that once sailed the waters of the Chesapeake Bay and the Atlantic Seaboard. The first mate, Alex Shelanski an Eagle Scout from Troop 1 Norfolk, provided an outstanding private tour of the vessel and explained the working of the ships rigging. Southern Region Area 7 includes most of Virginia and North Carolina. 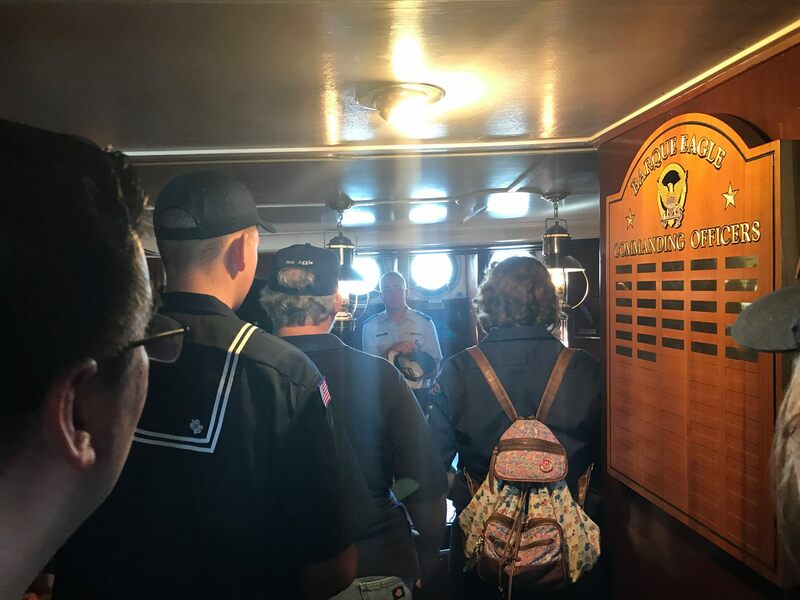 It maintains an active Sea Scout program and area Ships regularly gather in Hampton Roads for Sea Scout Academy in late April or early May and again in September at High Rock Lake for the Davy Jones Rendezvous. Additionally, a Seabadge Course is regularly held at Pamlico Sea Base.